Twenty five years ago tonight it began. The Pro-Democracy Movement that had taken to the streets in April of 1989 was violently crushed by the Chinese communist dictatorship beginning on the evening of June 3, 1989. By dawn on June 4, 1989 scores of demonstrators had been shot and killed or run over and crushed by tanks of the so-called People's Liberation Army. Thousands more would be rounded up, arrested and sentenced to prison in show trials. As many as a thousand received death sentences that were carried out. The response of the West and the United States at the forefront? Pro forma protests to satisfy the outrage of their citizens while secretly meeting with the men who had ordered the mass killing to let them know that what was important was their economic relationship. Twenty five years later in the days leading up to the anniversary scores of activists have been persecuted, rounded up and detained. The Chinese communist regime has cranked up its censorship apparatus blocking Google services and blocking websites such as the Wall Street Journal. Amnesty International on June 2, 2014 reported on the arrest of the Chinese born Australian artist, Guo Jian, age 52, shortly after the publication of an interview he gave to the Financial Times featuring his latest installation, "The Square", which consists of a model of Beijing's Tiananmen Square covered in 160 kilograms of ground pork. What can we do in the light of this collusion between the powerful and the morally bankrupt? We can refuse to forget. We can become informed. Refuse to go along with the Chinese regime's enforced amnesia. Document repression and denounce efforts to silence what happened. We can listen, remember and continue to demand that the truth of what happened be made known and that justice be provided for the victims and their families. 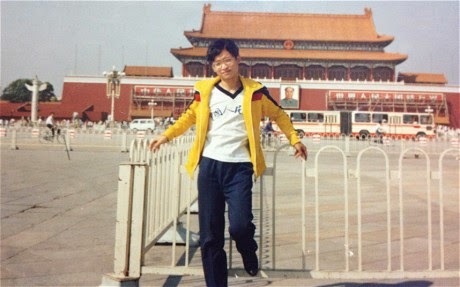 At least one political prisoner identified by the BBC who was arrested during the Tiananmen Square Crackdown remains in prison. His name is Miao Deshun, a humble worker without political or international connections, and he has been imprisoned for 25 years for his role in the protests. There may be more. The Daily Telegraph reported on 20-year-old student Wu Guofeng who on the night of June 3, 1989 grabbed his camera and took off in his bike in a south east direction to where the crackdown was unfolding. At 3am on June 4 a fellow student returned to the university dormitory bearing terrible news: Wu Guofeng was dead. He had been shot in the head, shoulder and chest by the advancing troops, and then deliberately skewered through the belly with a bayonet. Despite threats and official intimidation his family has refused to be silenced. Violent confrontations begin: In the afternoon, violent clashes occur between soldiers and Beijing residents. 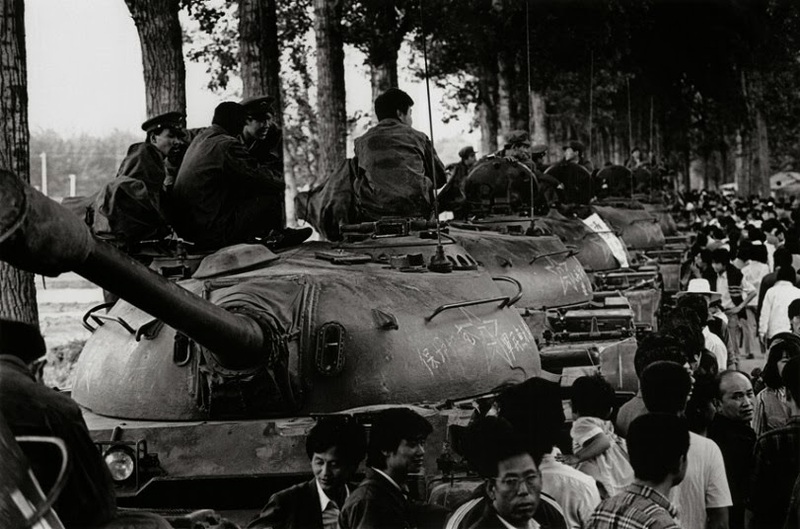 In the evening, PLA troops force their way into the capital and converge on Tiananmen Square. An unknown number of Beijing citizens die, succumbing to gun shots—sometimes at point blank—or crushed by tanks and armored personnel carriers. In angry retaliation, civilians throw stones at the soldiers, who shoot back. Some soldiers are attacked and beaten up. Buses and cars are set on fire. Tank Man appears: A lone man stops a tank convoy heading for Tiananmen Square. Most wanted: The Chinese authorities broadcast the list of the 21 most wanted student leaders. Death sentences imposed: A court in Shanghai sentences three residents to death for involvement in the protests. Soon after, people in Beijing, Shandong, Sichuan, Hebei, and Hubei are sentenced to death. Throughout the country, there are tens of thousands of detentions and arrests. Approximately one thousand people are executed, and many others are investigated and harassed. Around the world activities have already been held and others are being planned for June 3rd and June 4, 2014. Below are just a few. There are many more. Initiatives for China, an independent non-governmental organization, has proclaimed June 4, 2014 as a Global Prayer Day for China obtaining the support of Archbishop Desmond Tutu and Former Taiwanese President Lee Tenghui. A suggested prayer is available online here. Candlelight vigils and calls to pray for China have been issued by the Chinese diaspora. In Hong Kong more than two thousand turned out to a vigil on June 1, 2014 and 150,000 are expected to turn out for a candle light vigil in Victoria Park on June 4, 2014. Candlelit Vigil organized by the Tibet Society on Wednesday 4 June, 7pm - 10pm. All welcome outside the Chinese Embassy 49-59 Portland Place, London W1B 1JL I map nearest tubes: Great Portland Street, Regents Park or Oxford Circus A candlelit vigil to remember all those who died, were injured or imprisoned when Chinese armed forces stormed Tiananmen Square on 4 June 1989. More information available here. In Washington D.C., the Chinese dissident and former prisoner of conscience Harry Wu at the Laogai Research Foundation is inviting people of good will to join in remembering the victims of the June 4th, 1989 turmoil at 1734 20th St., Washington D.C., 20009 today, June 3rd and tomorrow June 4, 2014 from 4-6:30pm. The event starts at 4pm every afternoon where Tiananmen Square Massacre Photos will be exhibited and beginning at 5pm a film screening of the PBS Frontline Documentary The Tank Man that will continue until 6:30pm. All you have to do to attend is send an email with the subject “RSVP” to museum@laogai.org to RSVP. 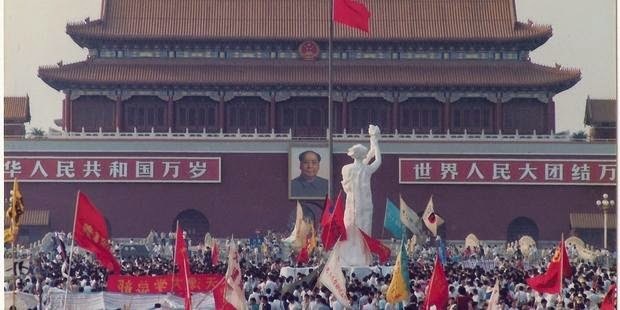 Events to observe the 25th anniversary of the 1989 Tiananmen Massacre. 1pm: Conference on Tiananmen, 7/F, Hilton Hotel, 135-20 39th Ave.,Flushing, NYC, 11354. 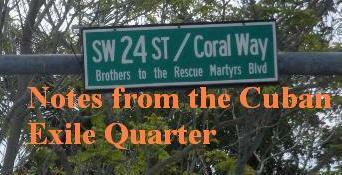 In Miami the Free Cuba Foundation has launched a call to action. Based on response a location will be selected. One last action that will only take you two minutes. Please sign this petition of the Tibetan National Congress to rename the street housing the Chinese Embassy in Washington DC after the imprisoned Nobel Laureate Liu Xiaobo.